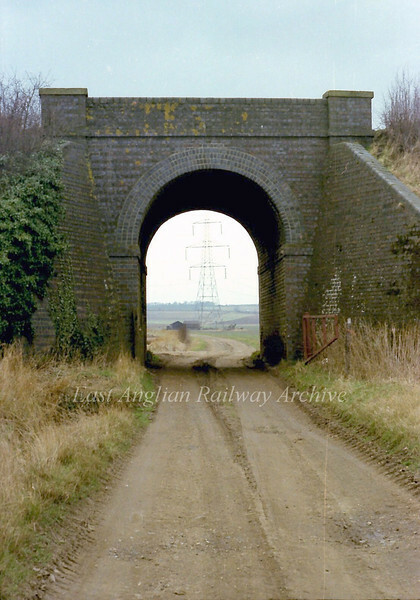 Stour Valley Line bridge architecture west of Linton, Cambridgeshire, off the old A604, now the A1307, at NGR TL 551 469. Underbridge now demolished. Image dated 8th March 1978. The road now leads to a grain store. Camgrain.